Our mission is simple: Keeping Seniors Healthy and Independent–that’s been our mission for almost 40 years. 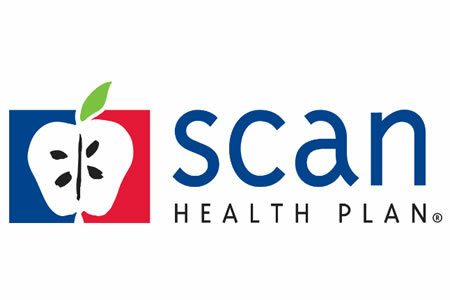 Rated as one of the top Medicare Advantage plans in California, SCAN Health Plan employees are passionate about what they do. Understanding that success is based on achieving the mission, SCAN employees are afforded with the training and tools necessary to do their jobs and they are rewarded for their efforts and recognized as experts in their fields. Ask anyone who works here and we’ll proudly tell you that SCAN’s commitment has never wavered. We are as steadfast in our pledge to help our members live healthy and independent lives. The Independence At Home (IAH) Volunteer Program operates to help insure that seniors and disabled adults can remain independent in their own homes, with a reduction in loneliness and isolation, while increasing their safety, security, well-being and sense of value in the community. The Volunteer Coordinator is responsible for the daily operations of recruiting, training, maintaining and evaluating volunteer services related to this program for SCAN. Recruit and train Volunteer Action for Aging (VAA) volunteers and match them with opportunities and events that provide assistance to disabled and frail seniors. Enhance recruitment of volunteers by making regular presentations to appropriate community organizations, schools, maintaining volunteer recruitment web sites, distributing VAA Newsletters regularly, and utilizing media as needed. Establish and maintain positive working relationships with community organizations, high schools, universities and internal customers by attending pertinent meetings, conferences and training. Build and maintain working relationships with senior-focused building resident coordinators, in order to create and coordinate intergenerational volunteer opportunities and events. Maintain an active volunteer case load by interviewing potential volunteers, providing HR appropriate paper work to complete background checks, training, contacting volunteers monthly for reports, organizing recognition events and facilitating volunteer meetings. Maintain a client base by educating and updating the community at large regarding VAA services, contacting and matching clients with volunteers and providing support as needed. Assist in planning and organizing special events, including but not limited to, Volunteer Recognition, Thanksgiving Day Meal Delivery and the December holiday event. Plan and organize one-time-only group volunteer projects as opportunities arise by partnering with other non-profit organizations, schools, social service groups and universities. Develop and maintain program evaluation and tracking protocols by establishing tracking systems, keeping appropriate records and documentation, and managing fiscal accountability. Proficient in Microsoft Office, including Publisher. A Work – life balance and much more! We’re always looking for talented people to join our team! Qualified applicants are encouraged to apply now!